A self-help book like no other. From the author of the best-selling Hard Time, and seen on Locked Up Abroad, Shaun Attwood took his business degree to Phoenix, Arizona, where he became an award winning stockbroker and then a millionaire day trader during the dot-com bubble. But Shaun became greedy and lost sight of what was important. He threw raves and distributed Ecstacy grossing $25 million. Before being convicted of money laundering and drug dealing, he served 26 months in the infamous jail system run by the notorious Sheriff Joe Arpaio. 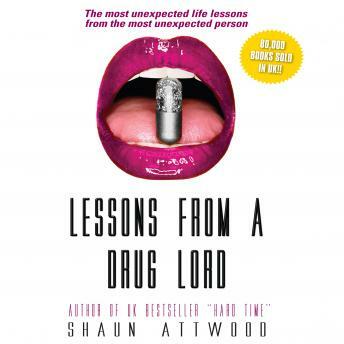 Lessons From a Drug Lord is his account of the time Shaun spent submerged in a nightmarish world of drugs and gangs, insect infested cells with food unfit for animas and the lessons he learned from his choices. His teachings will force you to re-examine your life and what is truly important.